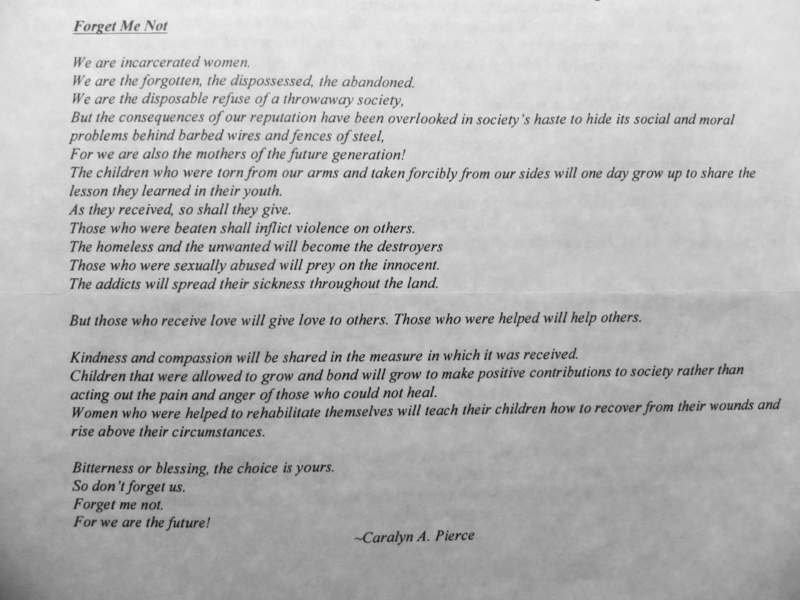 Poem written by an incarcerated mother who was a member of the Prison Birth Project’s Mothers Among Us group. 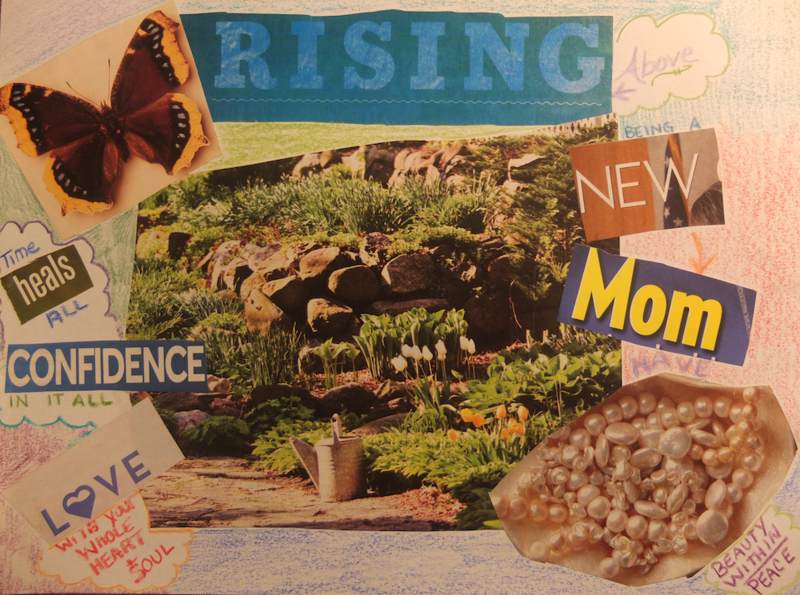 This poem appeared in a newsletter published by the Prison Birth Project (PBP), which supports, encourages, and trains currently and formerly incarcerated mothers and trans* parents to become community leaders within a reproductive justice framework. Mothers Among Us is a peer support group that PBP runs in the Western Massachusetts Regional Women’s Correctional Center (WMRWCC).